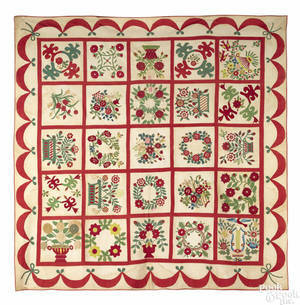 Baltimore appliqued album quilt, mid 19th c.
Baltimore appliqued album quilt, mid 19th c. , with an assortment of floral arrangements in chintz, cotton, and calico fabrics, all within a bow and swag border. 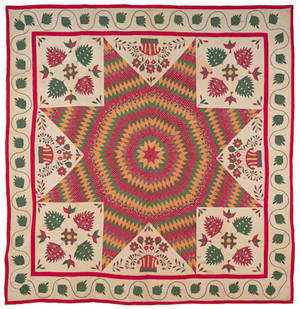 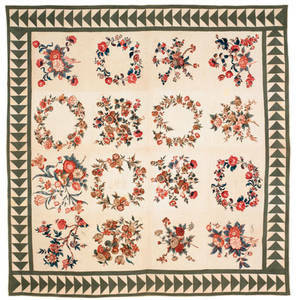 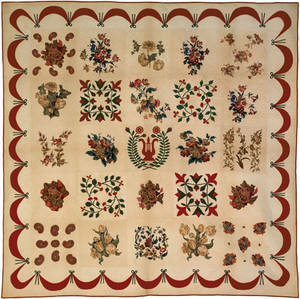 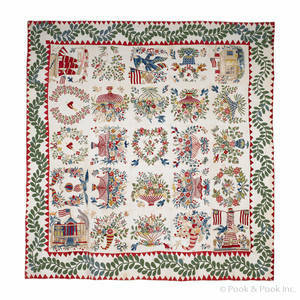 For a similar example, see Katzenberg Baltimore Album Quilts . 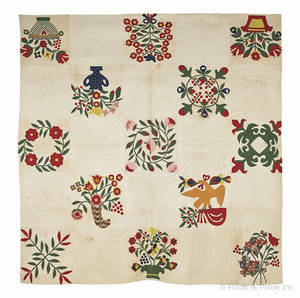 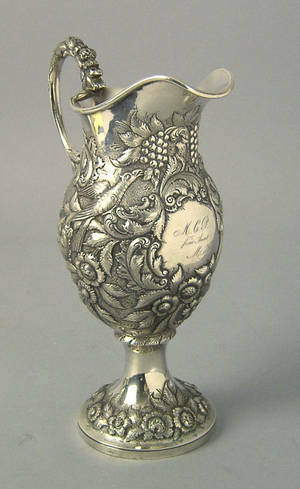 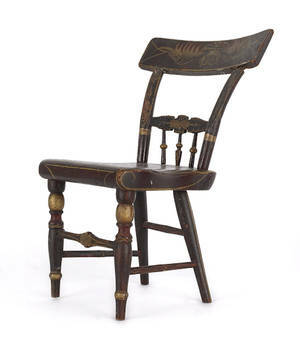 Archived auctions similar to Baltimore appliqued album quilt, mid 19th c.
Baltimore album quilt, mid 19th c.
Outstanding Baltimore album quilt, mid 19th c.
New Jersey or Maryland Bethlehem star album quilt, mid 19th c.
Miniature Baltimore painted fancy chair, mid 19th c.
Two Baltimore repousse silver salvers, mid 19th c.
Baltimore silver marrow scoop, mid 19th c.
Baltimore, Maryland silver pitcher, mid 19th c.
Ohio finely quilted pieced quilt, mid 19th c.